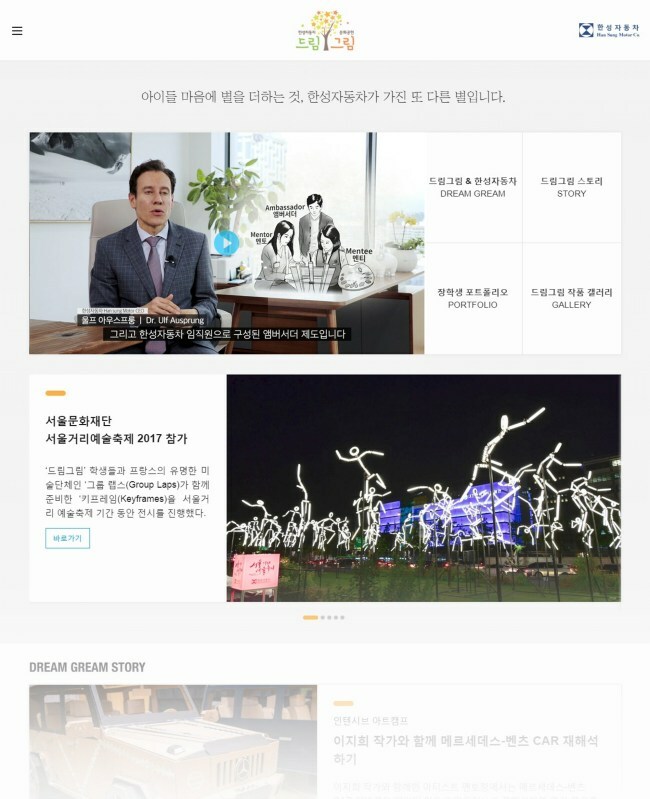 Han Sung Motor, the largest dealer of Mercedes-Benz in South Korea, has revamped a website launched by the company to support art prodigies here, the company said Monday. The online platform for Han Sung’s Dream Gream project (www.dream-gream.co.kr) introduces artworks by aspiring artists. The renewed site shows how students develop their art skills through mentoring programs arranged by Han Sung Motor, officials said. The website also displays a collection of art pieces by professional artists and collaborative pieces by students and artists. Launched in 2010, Dream Gream is a scholarship project supported by the dealer. Through the program, Han Sung provides financial support to students and conducts programs, such as art classes, an intensive summer art camp and a year-end exhibition, to nurture their talent. “I wish the Dream Gream website to serve as a space for sharing artistic views and promoting communication, not only for the students but also for many others,” said Han Sung Motor CEO Ulf Ausprung.